When Christmas is on the horizon, good people start to think about how they can make the season brighter for those who are alone, lonely or in need. 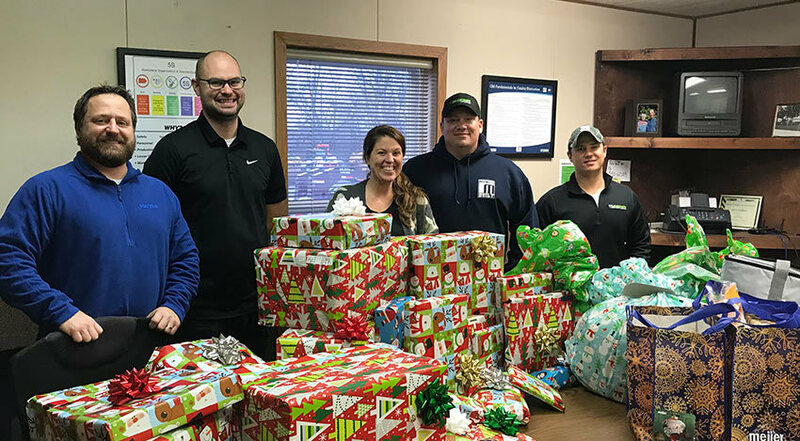 At Michigan Paving & Materials (MPM), a lot of good people came together throughout the company to make this one of the brightest Christmas seasons ever for many people who will remember their generosity for years to come. 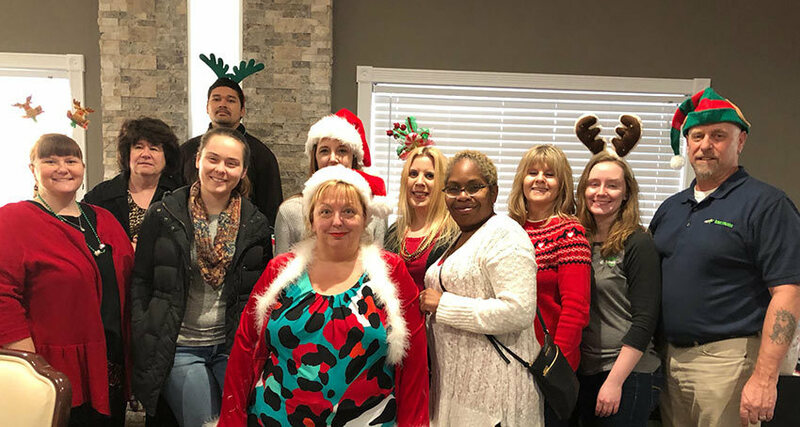 Across the company, Christmas 2018 — our season of giving back — culminated with employees adopting four families and sponsoring celebrations and gifts for residents at three assisted living facilities. Communities covered in the festivities included Adrian, Jackson, Kalamazoo, Lansing, Grand Rapids, and Wayne. For employees of MPM’s Grand Rapids and Canton divisions, the giving included purchasing gifts for 100 residents of the American House and the Pine Rest Foundation. 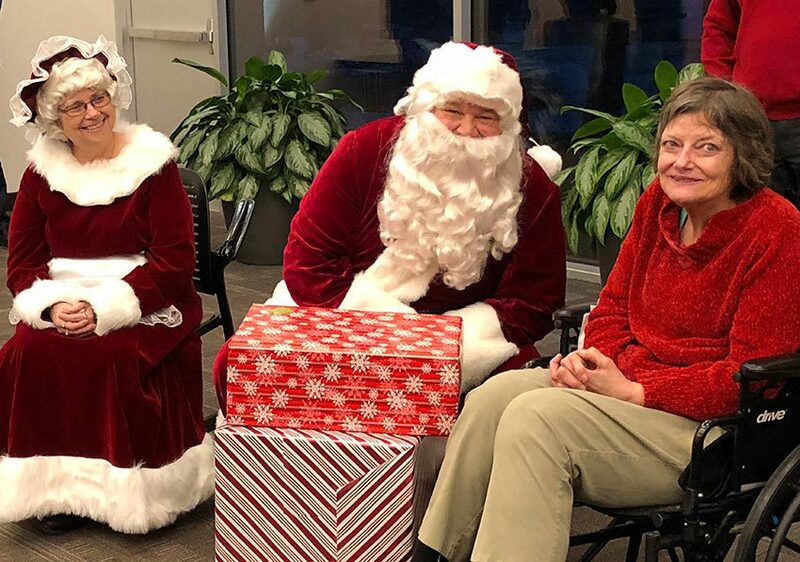 Not content to just send Santa over, MPM employees hand-delivered their gifts to the residents during Christmas parties where they spent time, shared the festivities and showed residents how much they care. Watching over all the gift-giving at Pine Rest was Program Supervisor Stephanie Baker, who expressed her heartfelt happiness and gratitude at the event. The Jackson, Kalamazoo and Lansing, divisions took on the sponsorship of four needy families for the holiday season. Together, employees pooled their resources to purchase gifts, needed items, and groceries for each family to make sure they had both a merry and delightful Christmas morning and a delicious hot meal on Christmas day. Thank you to each of our employees for sharing the true meaning of Christmas! Find out more about Michigan Paving & Materials, our services and our great people!